Flipkart and Amazon are currently locked in one of the most intense battles of oneupmanship on the Indian corporate space. The companies are bitter rivals, and are both eyeing India’s lucrative multi-billion dollar e-commerce pie. And they’re doing everything to get an upper hand – discounts, offers, and even insults (“You don’t sell churan, hing and call it real sales,” Flipkart CEO Binny Bansal had famously scoffed at Amazon.) But while Binny Bansal probably doesn’t buy his condiments online, he does spend his money buying other things – from Amazon. “The last thing on Amazon that I bough was a router,” he said in a recent interview. And it wasn’t because Flipkart didn’t have a good enough selection of routers, or Amazon was offering a better price. 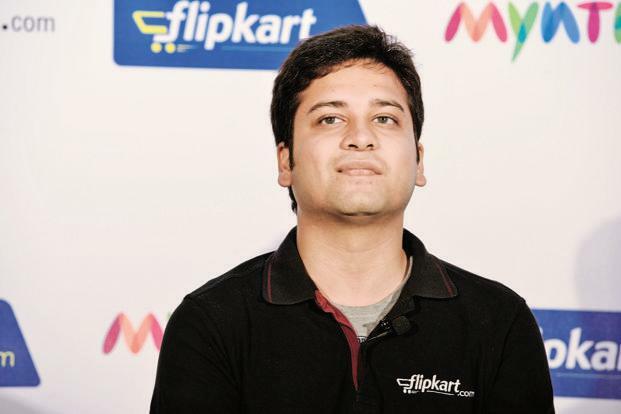 It was because the Flipkart CEO was keeping a watchful eye on his closest competitor. That’s a pretty paranoid approach to have, but one that’s probably a necessity in the cut-throat world of online commerce. Most sites in the industry offer similar services, and the slightest change can make a big difference. Flipkart had disrupted the space by introducing Cash-on-delivery a few years ago, and the rest of the industry had followed. Binny Bansal is presumably on the lookout for little innovations that any other site comes up with – and if it’s something Flipkart’s customers can benefit from, possibly incorporate it into their site as well. While Bansal’s Amazon’s shopping serves an undeniable business need, there’s a certain irony in the Flipkart CEO contributing regularly to Amazon’s GMV. But what they say about life is also true about business – keep your friends close, and your enemies closer.